The Combination Of High Class Steel With Advanced Technology, Makes Our Butter Churner Fit For The Modern Diary Industry. The Device Consists Of An Opening Gate For Pouring Adding And Other Additives. 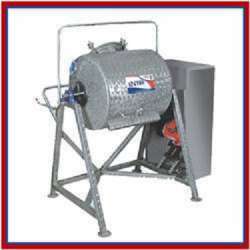 The Churner Swifts To Attain A Rotary Effect To Provide Sleek And Convenient Performance And Can Be Frequently Used For Long Period With Minor Operator Assistance.